Beta4 includes some fixes reported before Dec 1 as well as a new feature - indent guides. We are close to the release. even if it is still a beta is already usable and stable. ...but I'm not able to find how to call the phpdocumentor. This is especially useful if you're using projects. Just don't forget to set Library Path for your projects. I supposed that webuilder has some facility that can generate the comment description of some selected function using phpdocumentor format. Now I'm using an other product only to do this and some basic refactoring of the code of my projects when is in the final step. I'ld be happy to do these things inside webuilder. 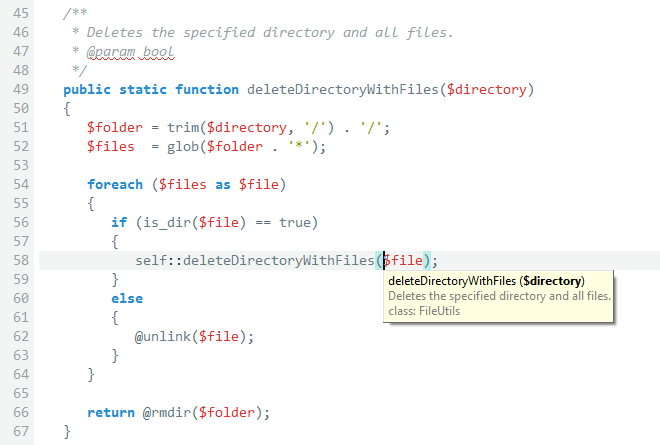 Hm, it's as simple as typing out /** - does it really call for special functionality? Or maybe it can be replaced by snippets? Maybe I'm missing something and you can fill me in. Specifies a size adjustment for displaying text content in Safari on iPhone. The text size is not adjusted. The text size is automatically adjusted for Safari on iPhone. The size in percentage at which to display text in Safari on iPhone.